Phencyclidine, more commonly known as PCP, is a hallucinogen that people now abuse for recreational use. Aside from LSD, PCP is one of the most popular hallucinogens abused and it can be extremely dangerous if a user does not experience pleasant hallucinations while using the drug. PCP abuse impacts the lives of millions of Americans and although PCP was once legally used for medical purposes, it was discontinued because of the terrifying effects it produced in patients. When made, PCP is a white powder that is condensed and sold in powder, tablet or liquid form. PCP is commonly taken by people adding the drug to drinks, or by snorting the drug. Some people also lace their cigarettes or marijuana joints with the drug and then smoke it. 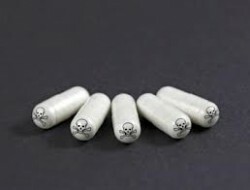 When people take PCP they are putting a substance in their body that may produce an enjoyable experience, or that may produce a horrible experience, but once the drug is in their body they cannot stop its effects. The effects of PCP can last for an entire day and for people who are having scary hallucinations; this can lead to them doing harmful activities or to them hurting others. PCP is known for its hallucinogenic effects. According to the National Drug Intelligence Center, over 1 million people aged 12 or older will try PCP at least once in their lifetime. PCP is an addictive drug that causes hallucinations and produces scary psychological effects. Users of PCP often become suicidal or violent when they are using the drug. When an individual has PCP in their body the drug will impair the chemicals in their brain resulting in them having a distortion of reality. A person on PCP can forget who they are or where they are and they will completely lose their sense of time, meaning that they can sit in one spot for hours and not eat or drink anything. Since PCP significantly impacts a person’s brain chemical makeup, the user may completely have their senses mixed up, meaning that they may start to see sounds and hear shapes; this distortion of reality can cause a user to become anxious and feel as though they are going insane. One of the most dangerous effects of PCP is its impact in making user’s become violent or suicidal. When a person on PCP is having a bad reaction to the drug they may become violent to others and they may begin to harm themselves. PCP can cause a person to completely lose control of their mind and body, and a user can commit crimes or put themselves in danger and not even realize it before it is too late. PCP Street Names - Find out alternative ways of referring to the powerful hallucinogen known as PCP. How to Find PCP Addiction Treatment - PCP addiction treatment is the first step to recovery. PCP Effects on the Brain - PCP is a dangerous drug that can cause a variety of adverse effects on the brain.